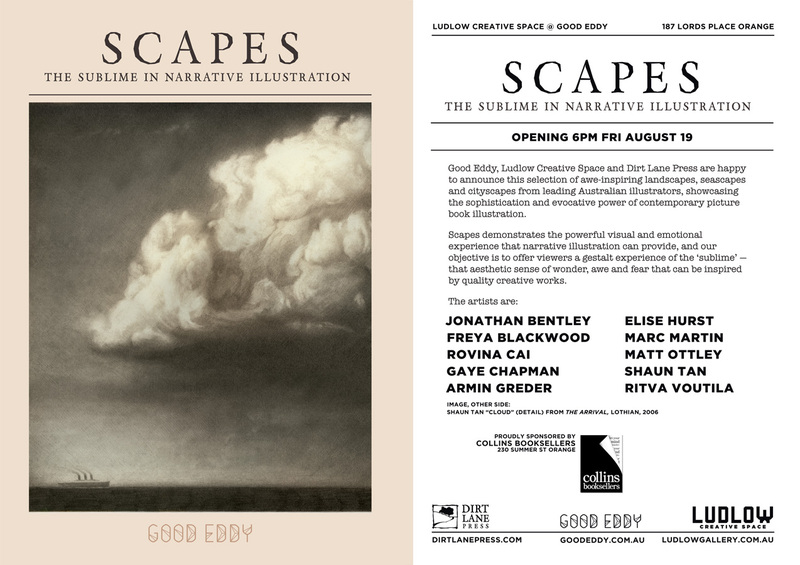 I’m participating in a group show at Copro Gallery! The theme of the show is things that inspire Guillermo Del Toro. So I’ve picked an Edgar Allan Poe story, which reminded me of Crimson Peak. The show opens October 7th for anyone in the area, do check it out! Spoke Art gallery in San Francisco is hosting a Miyazaki themed tribute show. I am contributing a piece, entitled ‘HOWL’, that will be available as a limited edition print. 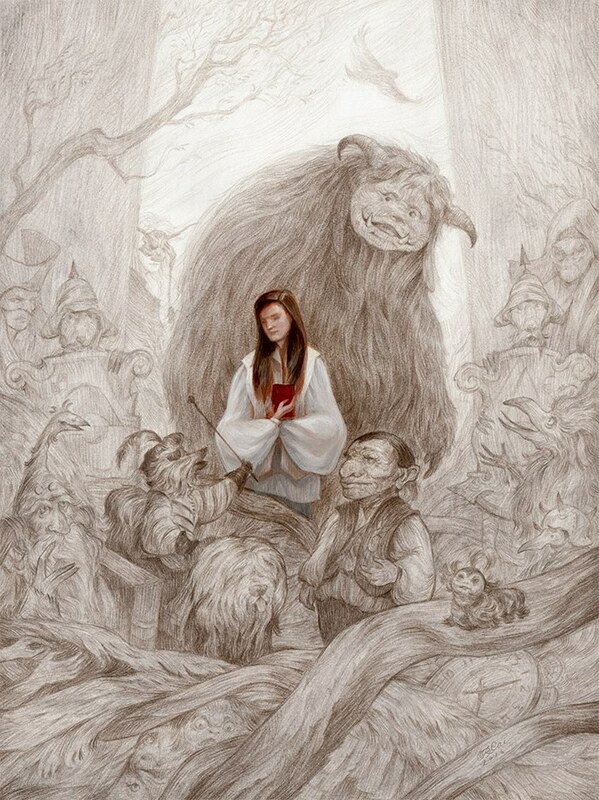 I am participating in the Labyrinth 30th Anniversary Tribute Show at Gallery Nucleus. 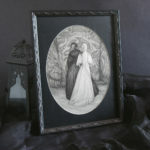 There are more than 30 pieces of original art in the show, and it looks like it’ll be a treat! The show runs from August through October. See the attached image for details, and be sure to check it out if you’re in the area! 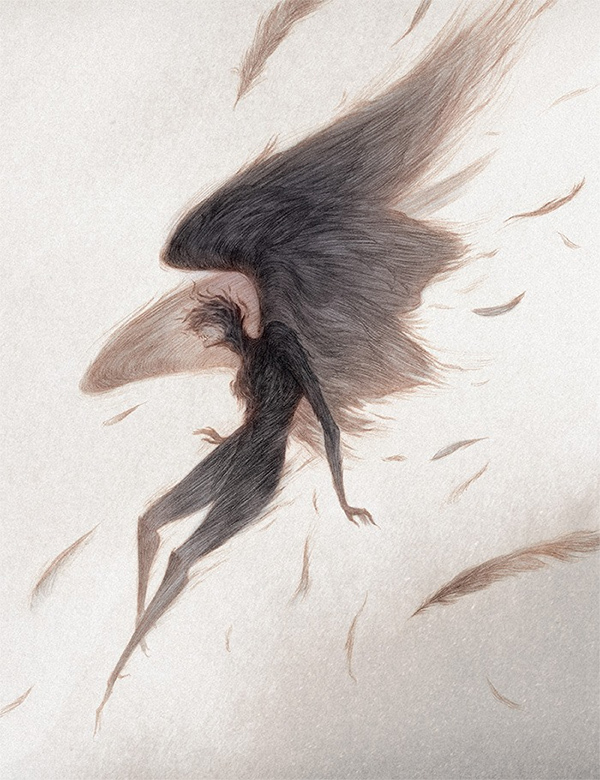 There is a wonderful show up at the Society of Illustrators right now, celebrating the work of women artists in the fantasy and science fiction field. The show is curated by art directors Lauren Panepinto (Orbit Books) and Irene Gallo (Tor). The original drawing for my ‘Fake It ’til You Make It‘ piece is in the show, and I’m so honoured to be included in what looks like an *epic* lineup for artists. 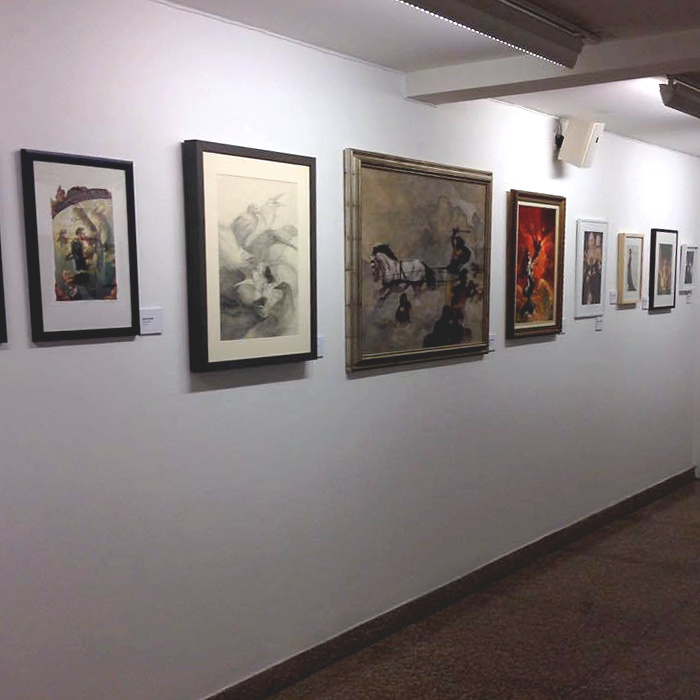 Here’s a photo that I was sent, of my drawing, hanging next to a Jeffery Catherine Jones piece (!!!). I am unfortunately stuck all the way on the other side of the world, but if you are in New York, you should definitely check it out! Info about the show can be found here. 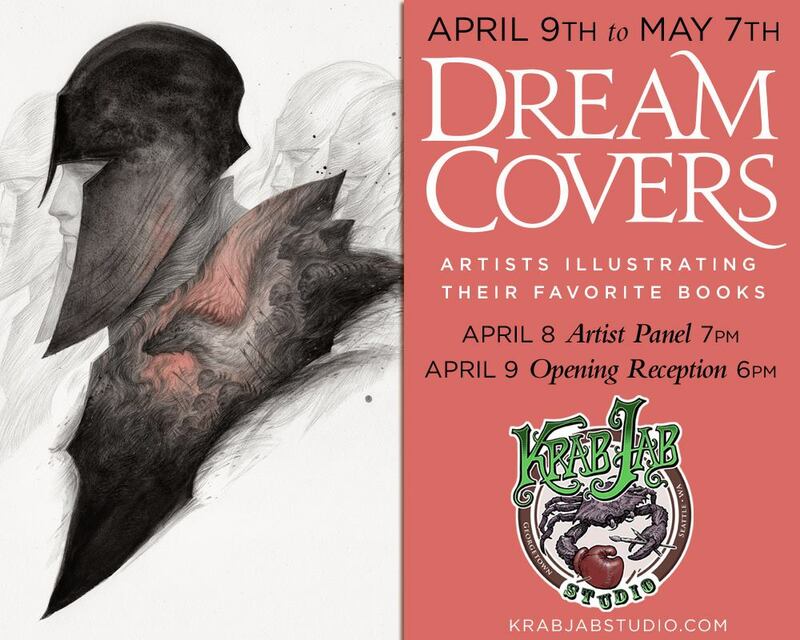 I’m participating in the upcoming Dream Covers show at Krab Jab Studio. A bunch of artists were asked to create illustrations of their favourite books, which curator/designer/art director extraordinaire Lauren Panepinto will then turn into covers! 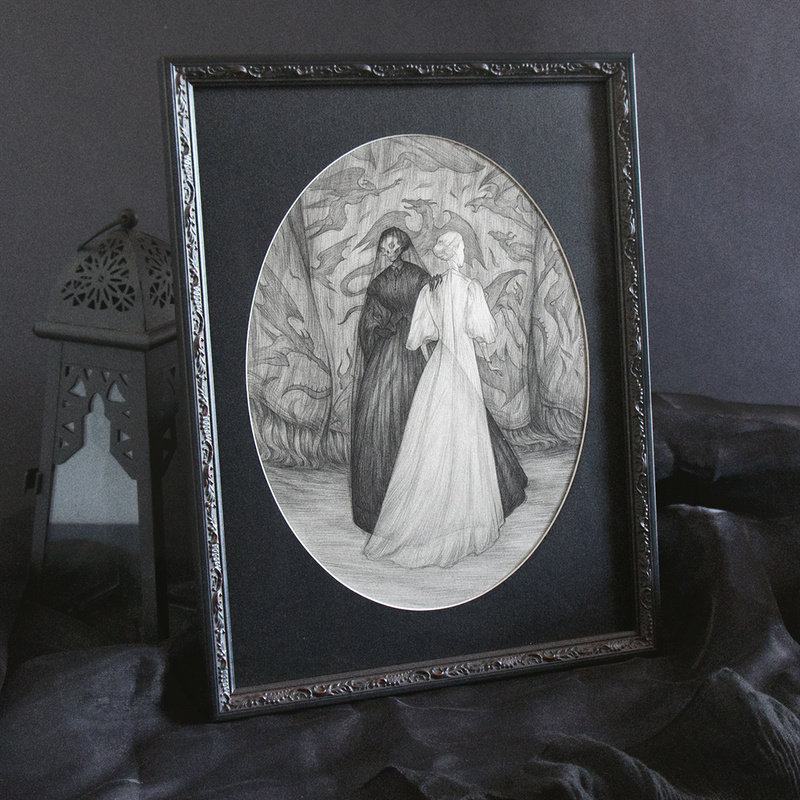 My piece is inspired by ‘The Silmarillion’. I grew up reading fantasy novels and being lost in the world of Tolkien, and this was a fun opportunity to delve back into my high fantasy roots! The show opens April 9th, and you can find details about it here.